In the 76ers’ (5-4) victory over the LA Clippers on Thursday, there was a lot to like. The All-Star big man was one of the best versions of himself, putting up massive numbers. The 2017 no. 1 pick, meanwhile, affected the outcome of a game the extent to which we really hadn’t previously seen. And from a collective standpoint, the club left strong immediate and lasting impressions. One could make the case that the Sixers’ first half Thursday, in which they built up a 72-57 lead heading into the locker room, was their best 24 minutes of basketball on the young season. Then, after a bumpy third quarter, they turned things around in the fourth, behind clutch shot-making, and timely defense (LA scored just one basket the final 6:17 of regulation). 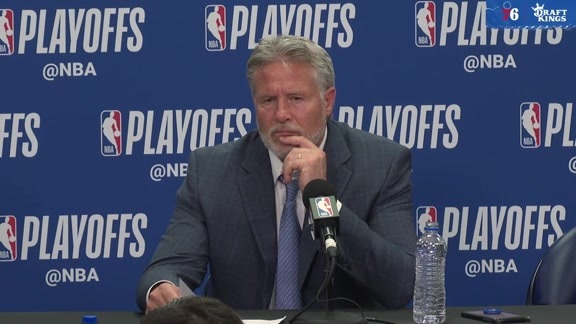 “I see growth,” Brett Brown said Friday, following practice. While well aware that areas like the Sixers’ rotation and defense still need work, he remains encouraged. In respect to the defense, Brown is especially bullish. He feels that in the long run, the move towards a more switch-oriented scheme will pay off. Saturday’s matinee match-up against the Detroit Pistons (4-3) will bring to an end the Sixers’ first 10-game clump of the 2018-19 campaign. They are not alone among NBA squads that are in the midst of early-season adjustments (see the Houston Rockets, the Los Angeles Lakers, and Washington Wizards, for example). This year is JJ Redick’s 13th time around the block. He knows that often, as was the case for the Sixers last season, a few months are needed for players and teams to hit their strides. No doubt the Sixers have already shown positive signs - performance at home (5-0), rebounding (no. 6 in the NBA), passing (no. 1 in the NBA in assist percentage), the contributions of specific individual players. The Sixers are simply looking for more of them, and believe they’re on the horizon. The Sixers’ most recent outing against the Detroit Pistons is still relatively fresh. Just a week and a half ago, the clubs met at Little Caesars Arena, where Detroit, behind Blake Griffin’s career-high 50 points, outlasted the Sixers in overtime, 133-132. 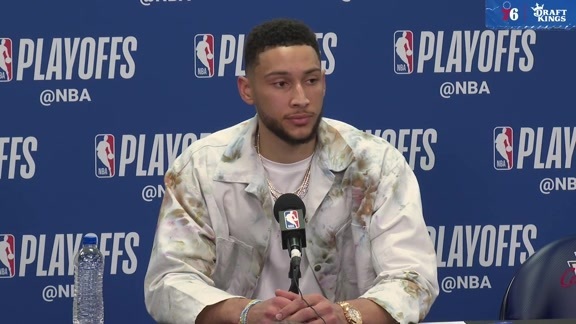 Ben Simmons didn’t play that night (lower back tightness). He feels his presence can make an impact the second time around. The Pistons’ win over the Sixers was part of a 4-0 start to the season. Since then, they’ve lost three in a row.